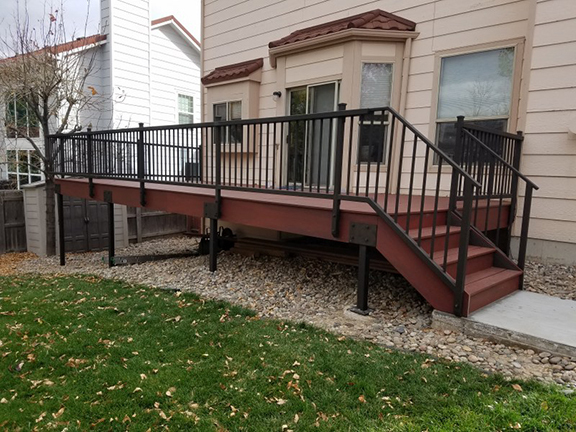 This deck is built with Fortress Xfinity decking. 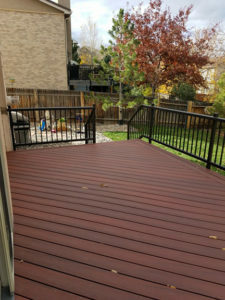 The colors from Fortress are beautiful as you can see here. 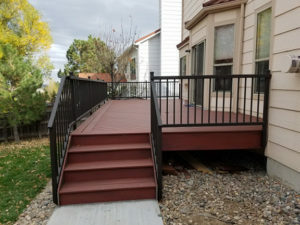 The welded railing is powder coated Oil Rubbed Bronze (Sparkles Great in the Sun) with a 2x4 top rail and we brought the posts through and installed pyramid caps! This is a classic look and gives you a great place to set your beverage of choice.